Perth is surrounded by rivers and oceans, all great places to kayak. 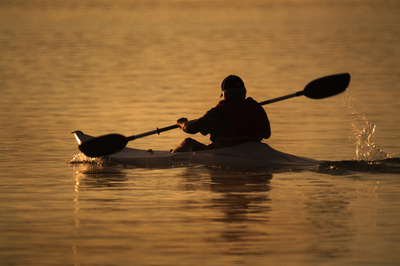 But, where is the best place to Kayak in Perth? In my younger days, I used to kayak around Matilda Bay near UWA. I chose this location because there was plenty of parking for my car and the views from the water back to the city were so beautiful. Being tranquil on the water and just watching the cars go by made me feel very peacefull. By Penguin Island...calm and tranquil. Swan River is a nice location to paddle! If you're down in the Mandurah area there are also heaps of great spots for kayaking, both on the Peel Estuary and on the various rivers that drain into it. Drop into the Mandurah Visitors Centre to get some brochures on the various canoe trails in the area.